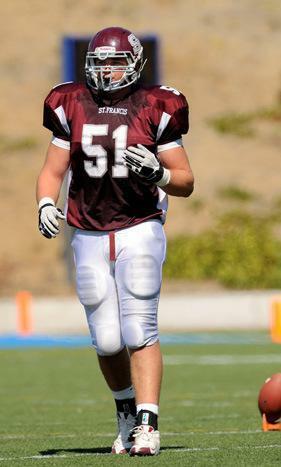 This Thursday night Ty Sambrailo's #51 jersey will be retired before the varsity basketball game vs. Pacific Grove. We recommend to show up before 6 pm as the time of the ceremony will be between the JV and varsity games. Sambrailo graduated from St. Francis in 2010 and from there went to Colorado State on a football scholarship where he was All Mountain West and earned his Bachelors Degree. From there Sambrailo was drafted by the Denver Broncos in the 2nd round of the NFL draft. Sambrailo was on the Super Bowl L championship team. Before the 2017 season Sambrailo became a member of the Atlanta Falcons. We hope to see you all here to celebrate Ty. Go Sharks!